Standing at the intersection of two historically important trade roads, Via Regia and Via Imperii, St. Nicholas Church in Leipzig dates to 1165. The oldest church in the city, it was originally built in a Romanesque style, but was enlarged and converted into a Gothic hall church in the 16th century. An octagonal central tower was added at that time as well. Martin Luther is said to have preached at the church, which has been Protestant since 1539. The interior of the church is notable for the pillars in the nave that end in palm-like flourishes. Johann Sebastian Bach once served as the music director for the church and several of his works debuted in the church in the 18th century. The church gained national prominence in 1989 due to peaceful demonstrations outside the church protesting communist rule in Germany. 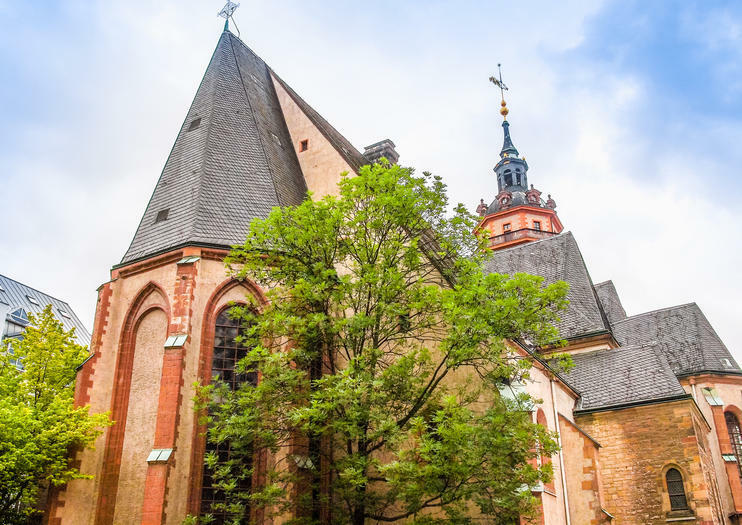 Today, it remains one of the largest churches in the Saxony region of Germany, holding up to 1400. St. Nicholas Church stands in the center of Leipzig and is accessible by taking the SBahn to Leipzig Markt or the tram to Augustusplatz. Most walking tours of the city will stop at the church as well. Prayers for peace take place every Monday at 5pm and tours of the church are available Tuesdays, Thursdays and Fridays at 5pm and on Saturdays at 11am. Tours of the organ are offered on Fridays at 4:30pm. Discover popular districts and top attractions including HafenCity, Speicherstadt and the Elbe Philharmonic Hall on this 2-hour guided walking tour of Hamburg. Follow a guide through the historic city of Hamburg, and hear how the city has evolved over the centuries. Head through Speicherstadt — the largest warehouse district in the world — to the bustling harbor. Learn of Hamburg’s massive urban regeneration in the waterside HafenCity district. Along the way, admire top landmarks including Consolation Bridge (Trostbrücke), St Nicholas’ Church and the Elbe Philharmonic Hall. Explore the German capital at your own pace with this 1-day independent Berlin bike rental. With your Berlin city map to hand, hop on your bike in Alexanderplatz and spin through the city streets in comfort. Choose the route to take in the landmarks and attractions of most interest, and cover the ground with ease by bike. Perhaps spin through Leipziger Platz and Potsdamer Platz to the iconic Brandenburg Gate, and take in famous sites such as Checkpoint Charlie, the German Historical Museum, the Holocaust Memorial and St Nicholas’ Church.